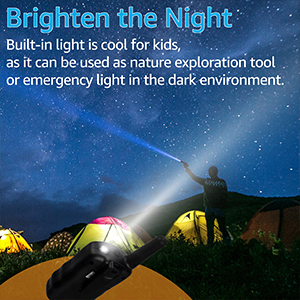 Built-in light is cool for kids, as it can be used as nature exploration tool or emergency light in the dark environment. So the light not only can bring kids more fun but also can help kids find the way home safety in the evening. No license required, but legal in the US. 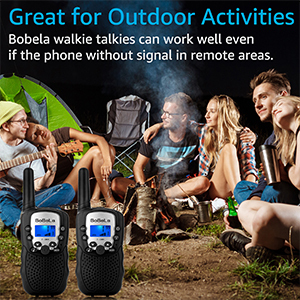 BoBeLa walkie talkies can not only compatible with each other but also support all the kids play together as long as they are on the same main channel and sub channel. 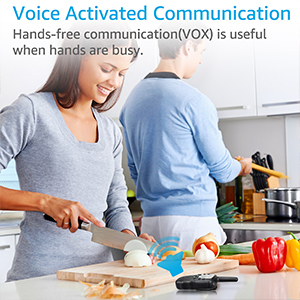 Hands-free communication(VOX) is useful when hands are busy. 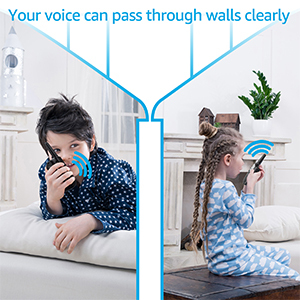 It is convenient for little kids and parents talk with each other without pressing the Push-To-Talk button. 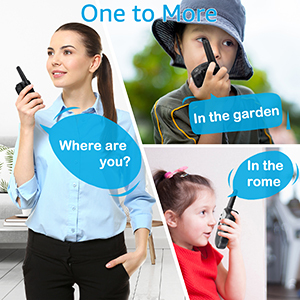 With the earpieces(Not included), the experience will be better. 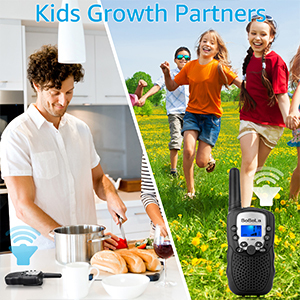 They are the great tools not only for kids to enjoy the cosplay games, explore the nature, share more fun and get more friends but also for parents to keep in touch with kids, play with the kids, teach the kids and call kids back.